Mike and I finally went to see Super 8 at the discount theater a couple of weeks ago. I absolutely loved it. I've heard a lot of people compare it to The Goonies, which I can totally see. This started a discussion about what movies we watched as kids. I'll make a confession. I never saw The Goonies until I was in middle school and we watched it in class. Same for Willow. Same for The Princess Bride. I also never saw Labyrinth or The Dark Crystal until I was in college. I do enjoy these movies, but I don't have that childhood connection to them that so many people my age seem to have. I finally figured out that this was because I "grew up sci-fi" rather than "grew up fantasy". * I think that a movie like Super 8, because it is essentially a science fiction story, rather than a fantasy one, would have appealed to me a lot more as a kid. 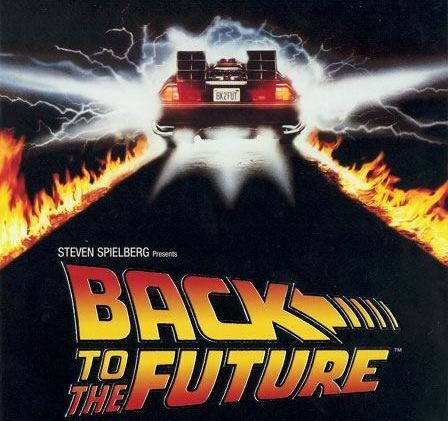 I think I saw this movie 10 times before I was 10 years old. Loved it, loved it, loved it. Scared the crap out of me, but I watched it. Many times. I used to have a recurring nightmare that E.T. lived in my closet. My dad had to check for me at night. Of course. 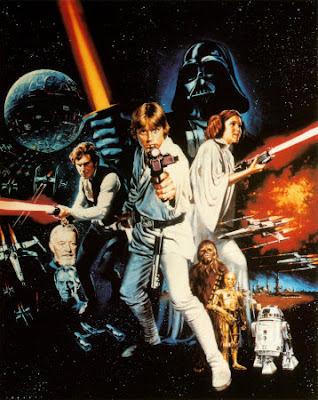 My dad claims that I'm such a nerd because he and my mom went to see Return of the Jedi while she was pregnant with me. It came out about a week and a half before I was born. 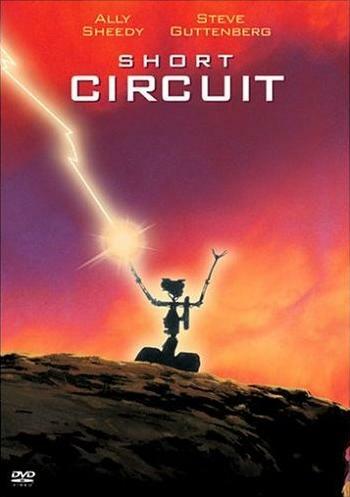 Johnny 5 is so hilarious when you're a kid. Goofy sentient robots are comedic gold. These are still some of my favorite movies of all times. I've watched all three of them into the double digits. Now, of course, I've seen most of the classic fantasy stuff. I did read The Hobbit when I was kid, and if Harry Potter would have been around, there was no way I wouldn't have been reading those, but movie-wise, I was a sci-fi child. How about you guys? Did you grow up sci-fi? Fantasy? Fairy Tale? Non-genre? *One exception was The NeverEnding Story. Did you ever see The Wizard with Fred Savage? About the video game competition? Not sci-fi obviously, but I watched that movie at least once a week for like a year! 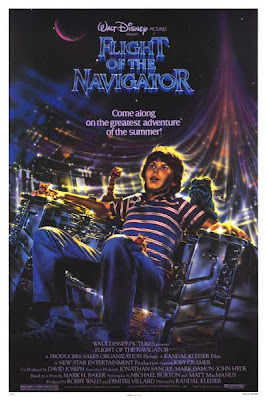 And I TOTALLY need to re-watch Flight of the Navigator now! Such a classic. 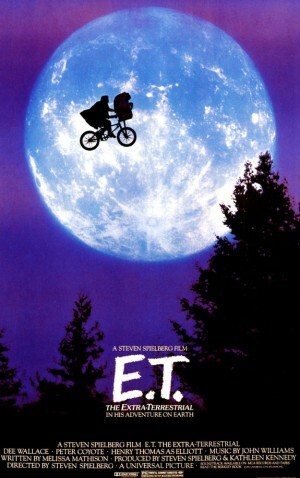 Katie - I'm so glad you were scared of E.T. too. I was also scared of Harry from Harry and the Hendersons. Basically all the monsters and aliens that you weren't supposed to be scared of. I never saw The Wizard but it was totally in my wheelhouse. I need to see it someday. Gretchen - I know, right? My Dad watches Star Wars occasionally and we would always watch that with him. Other than that, my brother and I have no idea why we were so nerdy. I didn't even have nerdy friends until middle school. 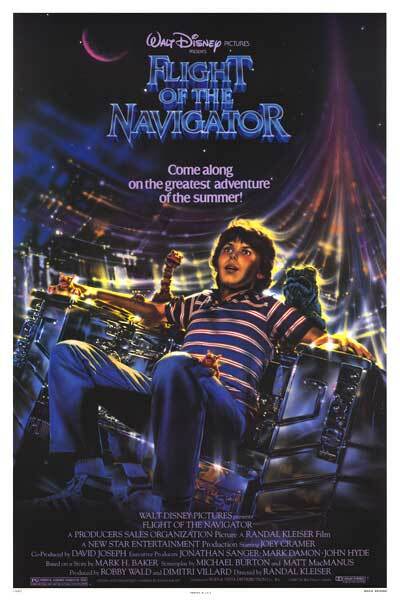 Mariel - Flight of the Navigator is awesome. It's so nice that you come from a nerdy home. Your parents don't give you blank stares when you talk about stuff, I bet.